My story with music begins since I was a child, in a home with a grandmother listening to Maurice Ravel and Dmitri Shostakovich while painting, a mother writing poems and lyrics for songs, a businessman father playing the guitar in his spare time, a brother dreaming of becoming a DJ and listening to music 24 hours a day and me, experimenting with the piano. My story with sound also started particularly early, when my need to remain undistracted and focused, in order to do my homework, living next to a kindergarten, urged me to start experimenting with various sorts of music, in order to find one that would help me focus and perform better (now I know exactly how high the db can be in a space with bad acoustics that accommodates children - psychoacoustics in action!!!). During my studies in Marketing, music and sound carries on following me: I met my current business partner Haris who was at the time studying music and all our free afternoons were filled by music and conversations that ranged from our favorite songs to Bach and ended up in our new Macintosh (LC 475) and the potential of computers' contribution to music. 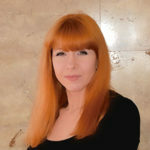 As a student in France, I've also had the opportunity to get hired as a voice-over for a series of educational Business videos, because it so happened that they needed a native Greek-speaking person. So, I learned the first tips for voice-over... at the age of 20. As what do I start this blog? Definitely not as a sound expert, even though I know much about sound. Certainly not as a composer, even though I know a lot of things about music. I begin this exciting journey with you, to share my passion as a manager for two worlds that meet - Sound and Branding - and my vision for an Audio Branding Agency that will really help companies and Advertising Agencies in Branding, like their missing Audio Cluster in their holistic approach to corporate branding design. Brand value and turnover increase! Branding effects and turnover effects! 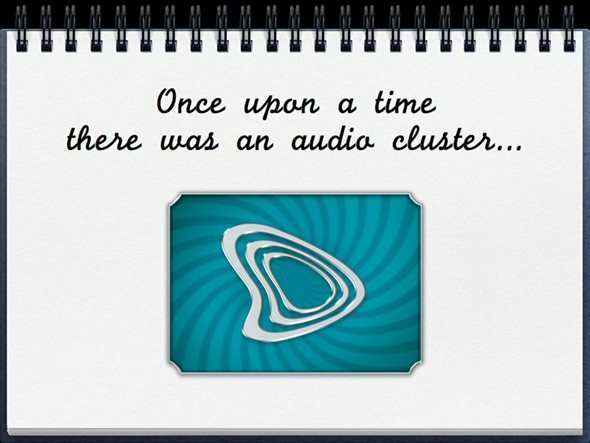 Once upon a time... there was an Audio Cluster... that became YOUR OWN Audio Cluster. Let the story begin! Based in Paris, Rianna Chaita is a Branding Expert / E-Marketing specialist and founder of Audio Clusters and E-Marketing Clusters. This entry was posted in Audio Clusters and tagged Audio, Brand, Branding, Music, Sound. Bookmark the permalink.